For the two years immediately after I finished college, I rented a bedroom in a small house on the near-east side of Madison, Wis. While many of my friends went straight from graduation to their long sought-after careers or continued their education via the pursuit of a graduate degree, I got a job writing technical documentation for a medical software company and spent the majority of my time in the house’s shared living room with my revolving cast of roommates. Some of my fondest memories from this period involve hours-long, four-person marathons of Mario Kart Wii (which was, at the time, still pretty much a brand new game) fueled by much more than our natural competitive juices. On many nights, my roommates and friends would try to usurp my mantle as resident Mario Kart champion, usually falling short in the process. It was during these moments of digital dominance that I would often begin to talk a little trash. “Looks like you’ve passed me…let’s see how long that lasts,” I’d snidely remark to one of my roommates before eventually and inevitably regaining the lead. “Honestly…who is by far the best at this?” I’d rhetorically ask, before doing the Rob Van Dam thumbs. To me, the trash-talking was just as fun as the game itself. Some of my opponents were unfazed by my antics. Others, however, took the bait every time, and when I saw them do it, I made sure to keep piling it on. It was all in good fun, of course, and I recognized that the key to my continued ability to get under the skin of my friendly opposition was my ability to consistently defeat them in the actual races. Otherwise, if I’m just talking trash and then taking my fair share of losses, I’m just an obnoxious jerk, instead of the arrogant champion whose challengers want to defeat him not only to win, but to finally shut him up. 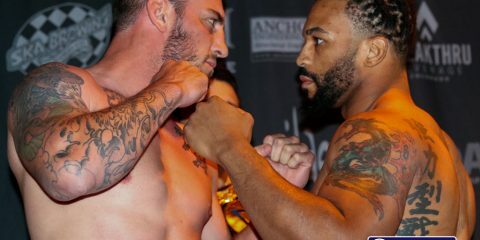 Of course, the MMA world has its fair share of trash-talkers as well. Starting (in America, anyway) with Tank Abbott at UFC 6, many of the sport’s fighters have enhanced their popularity by leaps and bounds simply by opening their mouths and adding some verbal jabs outside the cage to the physical ones they throw in it. Tito Ortiz became the sport’s biggest star during his reign atop the light heavyweight division, and the fact that he was not shy about sharing his feelings about his opponents had a lot to do with that. Nick Diaz rose to prominence due to his considerable skills in the cage and also his unique ability to not only talk trash before a fight but during it as well. Most recently, featherweight contender Conor McGregor has quickly elevated his status among his fellow 145-pounders due in no small part to his rhetorical excellence. He’s on the short list to challenge for Jose Aldo’s belt, and he’ll no doubt keep his mouth running up until that actually happens. The key, of course, to the success of these four gentlemen was the deft combination of greatness in the cage and the ability to manufacture rivalries with their opponents through their media appearances and social media presence everywhere else. 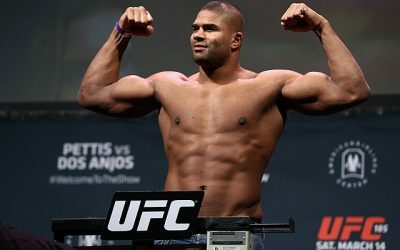 Ortiz could absolutely talk a good game, but don’t forget that for the first nine-plus years of his career he went 15-4, capturing the UFC light heavyweight title in the process and successfully defending it five times. Not only was Ortiz one of the best trash-talkers in his prime, he was also one of the best when it came to actually throwing down. 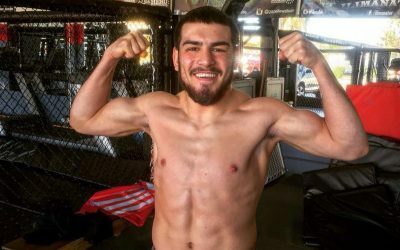 The aforementioned Diaz was similarly able to back up his mouth more often than not, notching 11 consecutive victories between 2008 and 2011 and winning the Strikeforce welterweight title in the process. McGregor’s standing among featherweights is certainly due in part to his personality, but the real reason he’s considered a current contender is his unblemished UFC record. When a fighter wins, his ability to generate interest in his next fight through trash talk seems to enhance his persona in a positive way. When these fighters aren’t as successful, though, the act can get a little tired. Take, for example, Chael Sonnen. Sonnen was considered a decent middleweight and not much else before he started his campaign of negativity toward then-champion Anderson Silva. 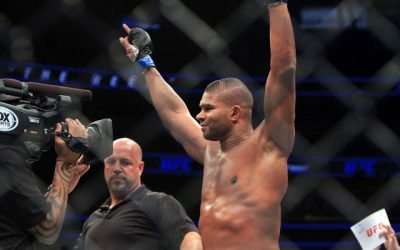 His success in the Octagon to that point combined with his compelling persona made him the ideal opponent for the man who had at that point cleaned the rest of the division out. 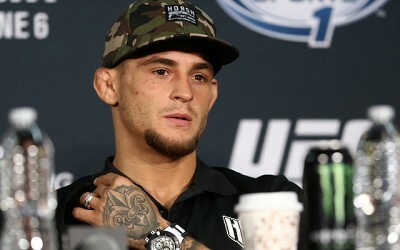 His four and a half rounds of grappling success over Silva only further enhanced his reputation, even as he’d be defeated in the closing moments of the UFC 117 main event, and he made sure to remind anyone who would listen that he came closer to defeating “The Spider” than anyone in the UFC. A couple of wins (and countless additional barbs directed toward Silva) later and Sonnen again found himself in the top contender spot. The result of Silva/Sonnen II would be much more decisive, as Silva finished his American challenger in the second round. Still, Sonnen was undeterred and turned his focus to light heavyweight champion Jon Jones. Jones was scheduled to face Dan Henderson at UFC 151 before an injury to Henderson forced him from the fight about a week before it was scheduled to take place. Sonnen offered his services as a late-replacement opponent, but Jones declined and UFC 151 was ultimately canceled. Sonnen then gave Jones the same treatment he had Silva, and ended up coaching opposite Jones on The Ultimate Fighter before getting a shot at Jones’s belt despite having fought in the UFC’s light heavyweight division just once before…in October 2005. That fight went just about how everyone expected, with Jones taking care of business inside of one round against the clearly overmatched Sonnen. 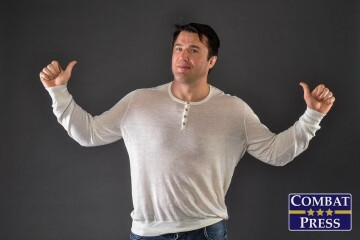 Sonnen would have a brief resurgence by defeating former light heavyweight champion Mauricio “Shogun” Rua before losing to Rashad Evans in his last fight before retiring, and while he’s continued to use his brash public persona to further his professional ventures (the latest of which is a podcast that is quickly gaining traction), he toned down his rhetoric considerably after his loss to Jones. While his abilities in front of a camera helped propel him from midcarder to legitimate MMA star, Sonnen smartly knew that his words would no longer carry so much weight after he’d lost to both previous targets of his vitriol (Silva and Jones). While he’s still very much the brash Chael Sonnen we’ve grown to love, he’s now more like the happy drunk guy shouting his opinions at a louder-than-normal volume as opposed to the angry drunk guy challenging everyone to a fight. The point is, Sonnen knew how far his trash-talking ways would get him, and he took it to the line and no further. Someone who might soon look to emulate Sonnen’s subtle transformation from trash-talker to positively boisterous fellow is UFC middleweight Michael Bisping. For quite some time, he’s been another fighter who has become known as much for his aggression on the microphone as for his aggression in the cage. Bisping first captured the attention (and drew the ire) of many American fans during his stint as a coach on The Ultimate Fighter: United States vs. United Kingdom. Fortunately for those fans (and unfortunately for Bisping), U.S. coach Dan Henderson put a definitive and violent stop to Bisping’s antics by knocking him clean out at UFC 100. The setback did not spell the end for Bisping, however, and he’d go 5-1 after his loss to Henderson, earning a spot in a middleweight title eliminator where he’d lose to the aforementioned Sonnen. 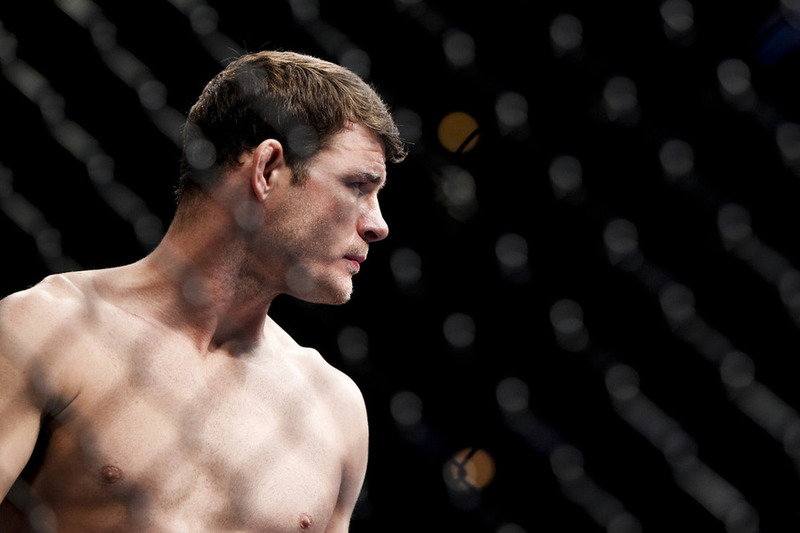 Since then, Bisping has alternated wins and losses, but he hasn’t stopped the trash talk. On Nov. 7, Bisping faces fellow middleweight contender Luke Rockhold, and much of the lead-up to the fight has focused on Bisping’s constant verbal jabs at Rockhold, highlighted most recently by a conference call in which Bisping let fly with a number of colorful remarks directed at Rockhold. Bisping hasn’t had the worst career over the last couple of years, but his most notable win in that time is probably over Brian Stann, who has since retired from competition. Bisping did win his last fight, so it’s not as if his trash talk toward Rockhold is completely nonsensical, but that win was over a 42-year-old Cung Le, who prior to facing Bisping had not fought in nearly two years. A win is a win in the UFC, but that was not necessarily one that did Bisping’s career a ton of favors. Simply put, Bisping’s fight with Rockhold is his last chance to assert himself as someone whose words fans should take seriously. 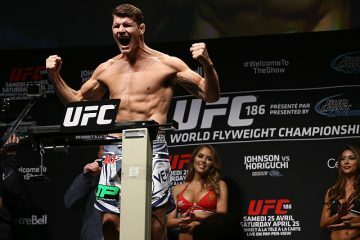 If he’s successful over the heavily favored Californian, Bisping will not only get a significant boost up the UFC’s middleweight rankings, but also have the signature performance that gives him some more leeway with his pre-fight rhetoric moving forward. 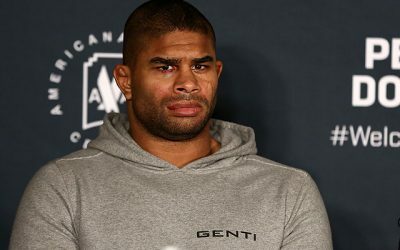 If he loses, though, and especially if he continues his agitating ways outside of the Octagon, he’ll move from a vocal contender whose ability to back up his trash talk fans are anxious to see to a mosquito buzzing outside of title contention who fans simply want to see get squashed. I suppose either role would be fine for Bisping in terms of his ability to sell a fight, but the former is obviously a more sound long-term strategy than the latter. Let’s be honest: Sports would be much less interesting if it wasn’t for those colorful personalities whose words inject a little bit extra into their competition. 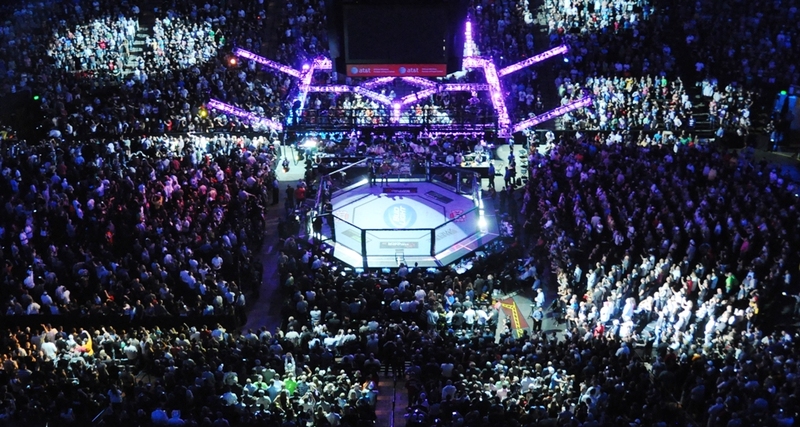 Whether it’s Ortiz “digging guys up” during Bruce Buffer’s introductions, Diaz dropping his hands and sticking his chin out in the middle of a fight or McGregor’s charming aggression toward his own UFC opposition, fighters who are willing for whatever reason to talk a little trash seem to draw in more fans than fighters who simply ply their trade in relative silence. 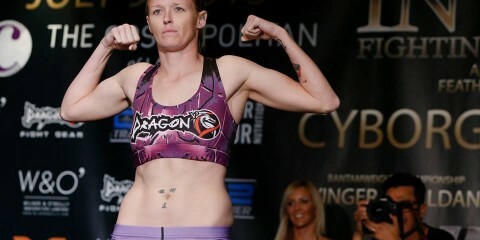 Crucial to these fighters’ continued fame, though, is their continued success in the cage. Sonnen knew when his shtick had run its course, but still finds himself among the more well-known figures associated with MMA, simply by virtue of his few years spent cutting promos on Silva and Jones. Bisping’s fight with Rockhold will serve as the ultimate benchmark for the former’s vitriolic ways. A win means he can, for the time being, still back up his words. A loss, though, and Bisping might find himself struggling to get anyone to pay attention in the first place.